There will soon be a new sheriff in Kailua-Kona town. 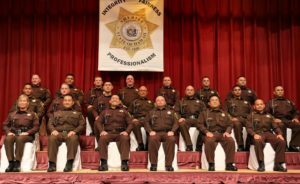 Hawai‘i Public Safety Department officials, family members and friends gathered in Waipio, O‘ahu, on Thursday, Nov. 9, 2017, to witness the graduation of the Law Enforcement Recruit Class 17-01 for Deputy Sheriffs at the Hawai‘i Okinawa Center. 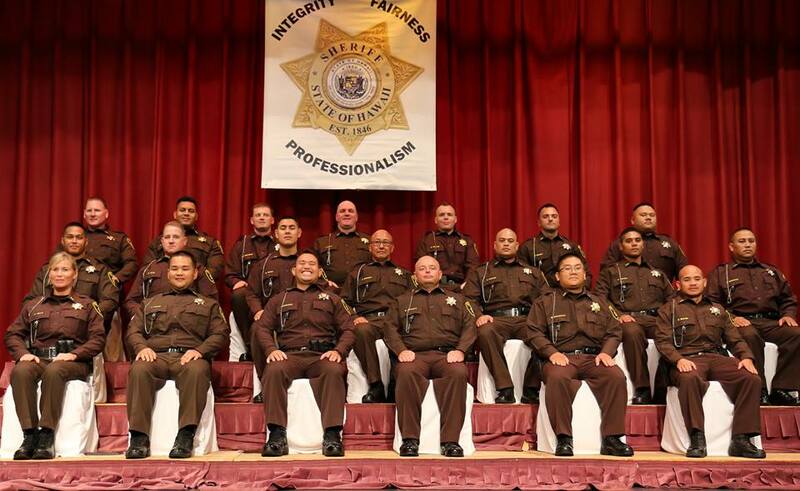 Twenty new deputies were added to the Sheriff Division and will be assigned to positions across the state. One will be assigned to Kona on Hawai‘i Island and the remaining 19 will be assigned to O‘ahu. The Sheriff Division carries out law enforcement services statewide. Its mission is to promote public safety by: protecting all persons and property within premises under the control of the Judiciary and all state facilities, providing process services and execution of court documents, handling detained persons and providing secure transportation for persons in custody. It also provides law enforcement services at the Honolulu International Airport.